In 2002, Hans van Esch founded TEServices by taking over the vendor verification from Natole Turbine Enterprises, (NTE). 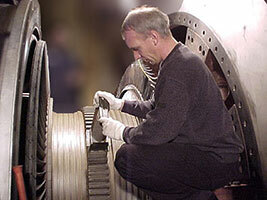 Hans further developed the vendor verification with a 6 step program, see Combined Cycle Article. In early 2003, he added metallurgical evaluations, lifetime assessment and extension, failure analysis, and training to the TEServices program. Hans presents on a yearly basis to GTUS, CTOTF, and other end-users' groups (see Publications). TEServices’ inspectors have supported the IGT end-users in their previous professional life as part of an OEM or non-OEM repair facility. 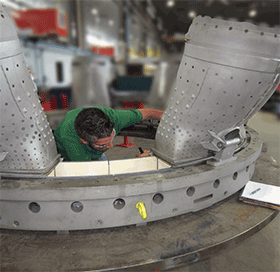 TEServices had noticed that there was a gap of knowledge and understanding between the gas turbine user and their component repair and manufacture vendors. This gap often resulted in delay of the repair, increased costs, and quality issues. By supporting IGT end-users exclusively, TEServices is able to close this gap and verify if the repairs are done on time and per customer’s specifications and expectations. Further TEServices complete metallurgical and NDT lab, can assess the components, create a proper repair scope, extend its life and, if required, perform failure analysis. TEServices adds value for our customers by increasing reliability and reducing maintenance costs of the operation and maintenance of their gas turbines. With Senior Level technical expertise in Turbomachinery Refurbishment, Hans van Esch is a metallurgical authority. 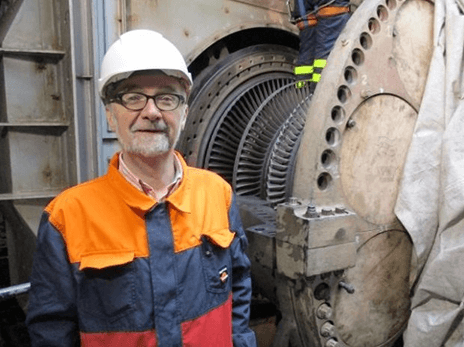 His career at Hickham Industries, USA and Elbar, Netherlands (both now a part of Sulzer Turbo Services), and Chromalloy have enhanced his long career in process development for gas turbine repairs. In June 2011 Shaheen Hayatghaibi joined TEservices. He has several years of experience, with different repair facilities including ACT-Independent Turbo Services and Advanced Turbine Solutions. He began as inspector of GE and Westinghouse combustion hardware before being promoted to inspection supervisor and later production supervisor. 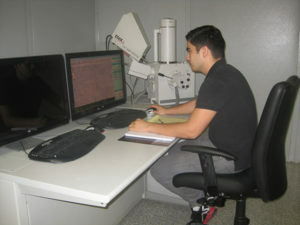 During Shaheen’s career in the shop environment he gained his experience with overhaul of GE 5/6B/7B/E/EA and F class components as well as Westinghouse 501B/D5/D5A and F class components through reverse engineering, repair development, supervision, flow testing, inspection (NDT as well as dimensional), qualification and sub-contracting of vendors (heat treatment, machining and coating). Shaheen is currently performing the daily vendor verification. Oscar graduated from the University of Texas at El Paso where he obtained his Metallurgical & Materials Engineering degree. He worked as a Research Assistant in his department as well as a Physics Teacher Assistant while going to school. 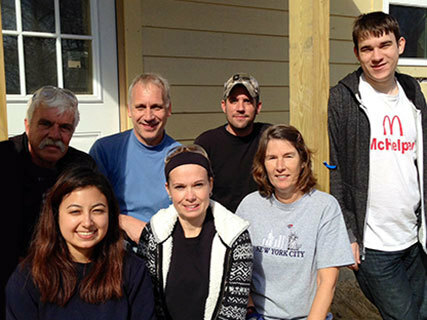 Oscar brings 4 years of experience supporting engineering, manufacturing, marketing, sales for Weatherford International. His knowledge of upstream operations, including subsurface corrosion mechanisms, common well failure prevention and proper material selection developed him as a Subject matter expert in Artificial Lift System (ALS) Products, specializing in failure analysis, material selection, testing, manufacturing support and metallurgical evaluation. He has led multimillion-dollar Research & Development Projects for the Oil and Gas market and been In charge of the overall supervision, functionality and continuous development of the metallurgical lab and its technical staff. Strong analytical and communication (written and oral) skills. Oscar also worked as a Forensic Engineer with Olivas & Associates providing engineering services for lawsuits involving vehicular accidents and mechanical failures using static and dynamic principles and experimental data acquisition. Previous professional experience began at TEServices in 2014, where he worked with the team performing metallurgical evaluations, failure analysis, and assisting with EPRI project aimed to extend the life cycles of Co- & Ni- blades. Stijn Pietersen joined TEServices in 2016 support European IGT end-users from his Amsterdam, the Netherlands location. Based on his metallurgical back ground and knowledge together with his IGT repair and manufacture experience, he can support IGT end-users with audits, vendor verifications and other technical support. Stijn graduated from Delft University of Technology in the Department of Aerospace Engineering with a degree in Materials and Production Technology. 1986- 1990 at Elbar, Netherlands, he worked at a company that specialized in the repair of heavy duty gas turbines as R&D engineer. He was responsible for repair development and specialized in materials, heat treatment, and welding and was active on international R&D programs (COST projects). 1990-1997 at a joint venture between Chromalloy and Standard Aero that performed overhaul small turboprop engines for aviation, Stijn performed production planning, engineering, component repair, and quality assurance. He obtained Designated Engineering Representative (DER) status for the European Aviation Airworthiness Authorities (EAAA). 1997-1999 at SkyWest Airlines, based in Salt Lake City and Dallas in house customer service representative. 1999-2010 at Sulzer Turbo services, Netherlands, Stijn worked as Engineering Manager, Business Unit Manager and completed projects such as transferring the production of the component repair unit from Holland to Poland and implementing Lean manufacturing. 2011-2014 at Wamar Engineering, France, Stijn was in charge of the operations of the heavy duty gas turbine component repair shop and transferred the start up to an operational company. 2014-2016 at Milgred, France, Stijn was quality manager for this machine shop specializing in the machining of nickel and cobalt based alloys (company has CNC milling, creep feed grinding, STEM drilling, EDM and FHD) for OEM and alternative IGT parts suppliers..